The Keaton Leather Collection offers a retro look with curves in all the right places. Top grain leather for the most durable, long-lasting upholstery. 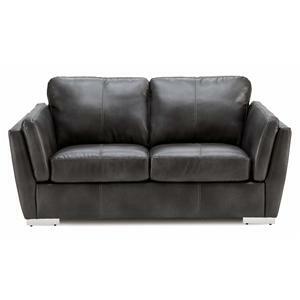 Top grain leather provides a soft, comfortable upholstery that acclimates to body temperature quickly. Mid-Century Modern Style. Part of Keaton collection. Dimensions: 54"W 32.5"D 34.5"H. Product weight: 81.4lbs. 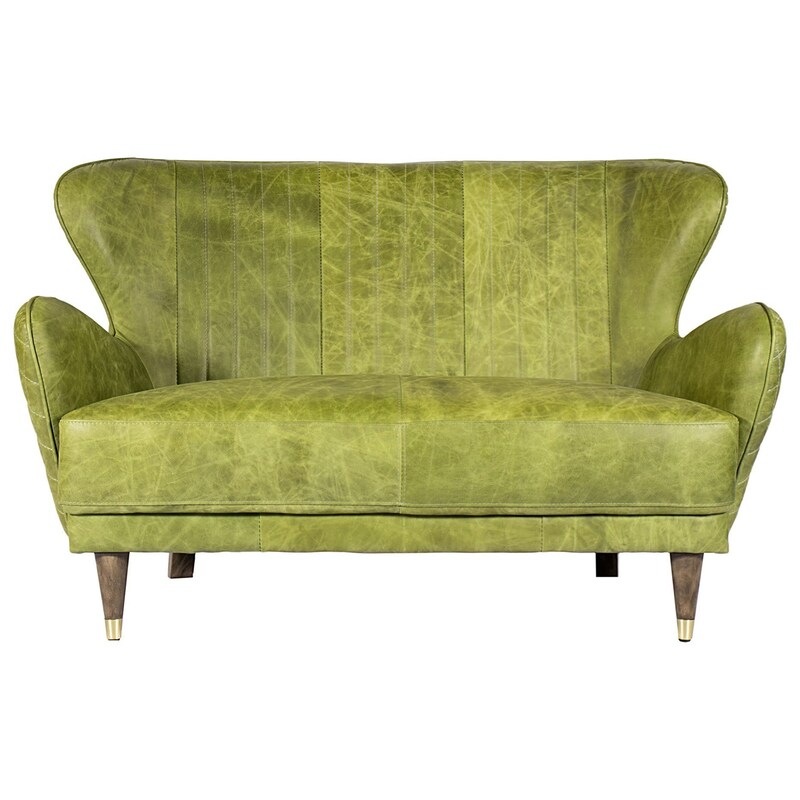 Seat Height: 18" Leg Height: 6.5"H, Seat Depth: 21"D Color: Chartreuse. Product requires assembly. Made in China. We are offering 1 year limited warranty (covered for any manufacturer's defect). Frame: Hardwood & Plywood. Cover: Top Grain Leather. We understand how important your home is and how decorating your kitchen, dining room or bedrooms with classy, contemporary furnishings can help make it a place that reflects who you are. 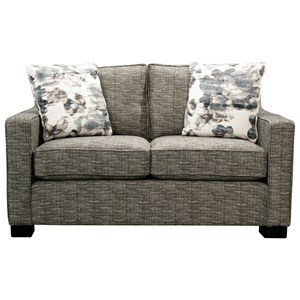 We believe in the power modern furniture has in creating not just a home but YOUR home. We believe in feeling good about our home's environment, and we think you do too. 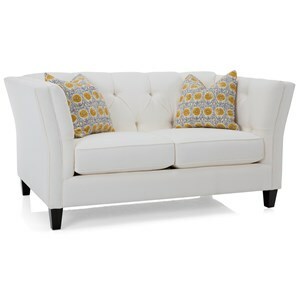 The Keaton Mid-Century Modern Leather Loveseat with Flared Back by Moe's Home Collection at Stoney Creek Furniture in the Toronto, Hamilton, Vaughan, Stoney Creek, Ontario area. Product availability may vary. Contact us for the most current availability on this product. Browse other items in the Keaton collection from Stoney Creek Furniture in the Toronto, Hamilton, Vaughan, Stoney Creek, Ontario area.